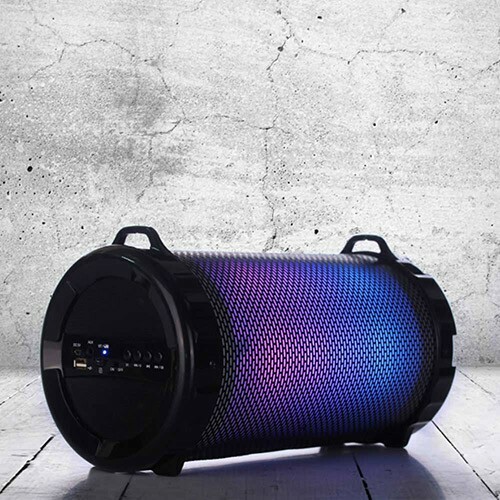 Portable sound with colourchanging lights. 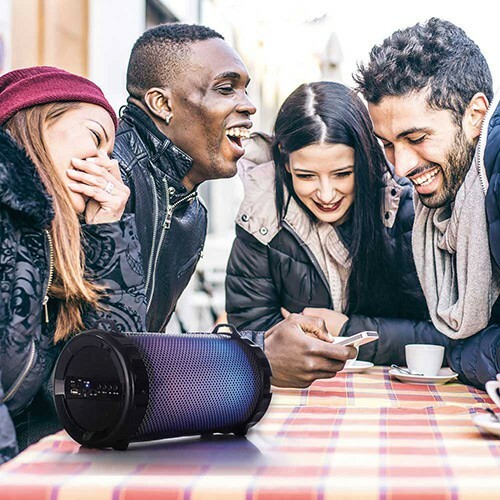 Superior sound, clear audio with a subwoofer, the Polaroid Bluetooth LED Speaker is the perfect choice for those who enjoy having music and radio on hand at all times. The rechargeable lithium battery ensures you will have uninterrupted sound during power cuts or in locations without power points. Connect to the device via Bluetooth, USB, TF Card or simply to the FM radio stations for convenience. Polaroid South Africa © 2019. All Rights Reserved.